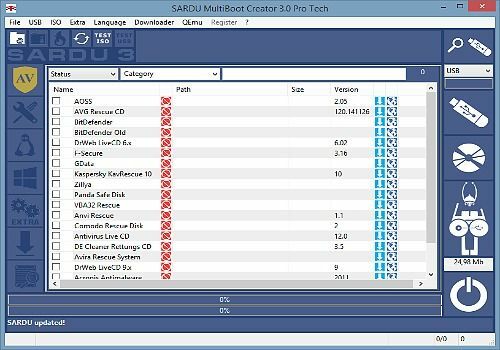 Sardu is a software available on Windows that allows you to create a bootable USB key in case of a computer failure. If it is the system that is failing or you have been infected with a virus, Sardu can help you. Sardu allows you to add many free disinfection solutions from the leading antivirus vendors such as Avira, Bitdefender, F-Secure, G-Data or Panda. Once these programs have been added to your backup key, simply insert it into your computer to run an analysis of your machine. Sardu also allows you to create backup CDs, all in an easy-to-use interface.